Loneliness was the cause for Marie de Rabutin-Chantal, marquise de Sévigné (1626–1696) to begin her correspondence with her daughter, Mme de Grignan. And the world is much richer because of it. 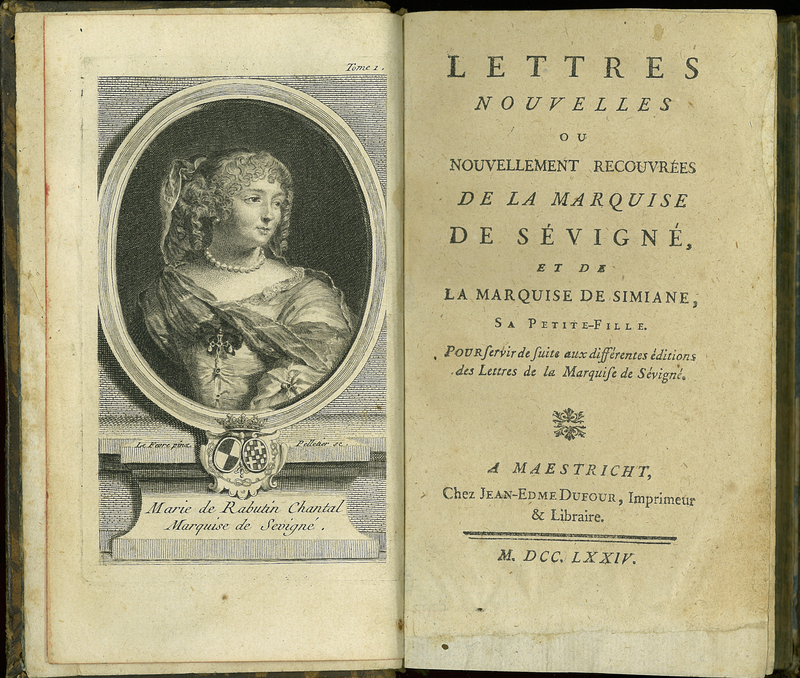 Madame de Sévigné’s letters provide a very rich source on 17th century French life, including juicy social commentary, who was in or out of favour at the Court, local (Paris) and national events, her household management activities, and even her taste in reading. Starting on the 8th January 1681, this French aristocrat wrote in total some 1700 letters. This Dutch printing has a delightful engraving of ‘Madame’, who was surely a forerunner to England’s famous gossip, Horace Walpole. Marie de Rabutin-Chantal Sévigné, “ Lettres nouvelles ou nouvellement recouvrées de la Marquise de Sévigné, et de la Marquise de Simiane, sa petit-fille,” ourheritage.ac.nz | OUR Heritage, accessed April 24, 2019, http://ourheritage.ac.nz/items/show/10605.